On April 9, with civil rights leaders, educators, and students, Secretary Duncan commemorated the 50th anniversary of the Elementary and Secondary Education Act (ESEA) at the Martin Luther King, Jr. Memorial Library in Washington, D.C. In a speech, followed by a question-and-answer session, the Secretary discussed America’s progress in the field of education over the past half-century and the work still ahead, including the need for Congress to reauthorize a strong, bipartisan ESEA. “ESEA marked an extraordinary step for education and for civil rights. The fight for educational opportunity and the fight for civil rights always have been and always will be inextricably linked,” he said. “ESEA has built a foundation under our nation’s schools, - helping to raise the bar for every child and to ensure that the resources are there for those most in need…[but] our work will not be done until we ensure that opportunity is not just a possibility but a promise. As any teacher or principal will tell you, ESEA, now known as No Child Left Behind, is long overdue for repairs. It is broken, and it is wildly out of date. We need a new law that does a lot more to support innovation and creativity by educators and communities and a lot less to stifle that creativity. A new law must stay true to the vision that opportunity isn’t somewhat optional; it’s a right for every child in this country. We can’t afford to leave any of our talent on the sidelines." The Leveraging Resources and Project Directors' Conferences were huge successes! This was the first year we held a virtual Project Director's Conference. Thank you for your patience and understanding as we worked through the glitches. The 2015 Leadership Conference will be held July 27-29, 2015 at the Marriott Wardman Park Hotel in Washington, DC. Registration will remain open until June 26, 2015. Register for the Leadership Conference here. I look forward to seeing you there! The Department released a new report detailing the unmet need across the nation for high-quality preschool programs. According to this study, “A Matter of Equity: Preschool in America,” of the approximately four million four-year-olds in the U.S., about 2.5 million, or 60%, are not enrolled in publicly funded preschool programs, including state preschool programs, Head Start, and programs serving children with disabilities. Even fewer are enrolled in the highest-quality programs (blog post with graphics). The report highlights the need for an ESEA reauthorization that expands access to high-quality early learning opportunities for preschool-through-twelfth-grade children and youth, rather than limiting it to kindergarten-through-twelfth-grade students. The Obama Administration has made significant investments in early learning under the Race to the Top-Early Learning Challenge and the Preschool Development Grants programs. These grants lay the groundwork for states to be prepared for the President’s Preschool for All program. The Administration has asked for an increase of $500 million for Preschool Development Grants in the Fiscal Year 2016 budget to expand this opportunity to more States, the Bureau of Indian Education and tribal education agencies, territories, and the outlying areas. Over the last few years, a coalition of education, business, law enforcement, military, child advocacy, and faith-based leaders have joined together to support the expansion of high-quality preschool programs. A new Institute of Medicine and National Research Council report has 13 recommendations for transforming the birth-through-age eight workforce based on child development and early learning research. Chief among the recommendations is that all lead educators have a bachelor’s degree with knowledge and competencies in early learning. The report also recommends major improvements to higher education and greater coordination and support to strengthen the early learning workforce (blog post). 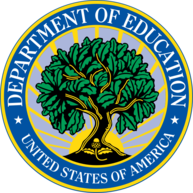 The Departments of Education and Labor are seeking comment on five Notices of Proposed Rulemaking (NPRMs), proposing rules to implement the Workforce Innovation and Opportunity Act (WIOA). The act, signed by President Obama on July 22, 2014, is the first major reform to federal job training programs in more than 15 years. It is designed to streamline and improve the coordination of employment and training services across federal agencies and strengthen collaboration with state and local partners to increase access to and opportunities for employment, education, training, and support services. The NPRMs include: a joint rule proposing to implement shared activities related to unified planning, performance accountability, and the one-stop system; a rule proposing to implement Labor-specific activities under Title I; and rules proposing to implement Education-specific activities under Titles II and IV. Visit Regulations.gov to share comments on the proposed rules. Any comments not received through the process outlined in the NPRMs will not be considered by the agencies. The following Notice of Applications for New Awards: Educational Technology, Media, and Materials for Individuals with Disabilities--Research and Development Center to Advance the Use of New and Emerging Technologies to Ensure Accessibility (CFDA No. 84.327B). Purpose of Program: The purposes of the Educational Technology, Media, and Materials for Individuals with Disabilities Program \1\ are to improve results for students with disabilities by: (1) Promoting the development, demonstration, and use of technology; (2) supporting educational activities designed to be of educational value in the classroom for students with disabilities; (3) providing support for captioning and video description that is appropriate for use in the classroom; and (4) providing accessible educational materials to students with disabilities in a timely manner. Publication Date/Application Available: Wednesday, April 8, 2015. Deadline for Transmittal of Applications: Tuesday, May 26, 2015. May is Better Hearing and Speech as well as Mental Health Awareness Month. Each May, The American Speech-Language-Hearing Association (ASHA) highlights Better Hearing & Speech Month (BHSM) to raise awareness about communication disorders. The 2015 theme is "Early Intervention Counts." Results of a recent survey of ASHA’s membership revealed that 45% of expert respondents reported lack of awareness as the number one barrier to early detection of communication disorders. Research has shown that early detection is critical to treating, and oftentimes reversing communication disorders. Delayed treatment can result in isolation, poor academic or career performance, and delayed development. The importance of human communication—talking, reading, listening and interacting— is paramount to children’s overall development, academic and social success, and even future vocational choices. The importance of human interaction is all the more true in this age of technology, in which “smart” devices occupy an ever-increasing amount of time, attention and prominence in the lives of infants, toddlers to teens. For more information and resources about early detection of communication disorders, visit ASHA’s website at http://www.asha.org/ and http://identifythesigns.org/. This year, the National Children's Mental Health Awareness campaign will address the needs of children, youth, and young adults with mental health and substance use challenges and their families. The awareness campaign will feature cutting-edge community strategies for integrating behavioral health care with primary health care, education, and child welfare. It is an opportunity for us to join with more than a thousand communities across the country in celebrating the positive impact that we can have on the lives of children, youth and young adults when we are able to integrate positive mental health into every environment. When we focus on building resilience and social-emotional skills in young children from birth, we can help young children, youth, and their families thrive. Post or tweet a message telling the world about #HeroesofHope in your community over the last 10 years. #HeroesofHope may be individuals, groups, or organizations that have supported children, youth, young adults, and their families. Tell us about them or share an image on Twitter, Instagram, or Facebook and remember to use the hashtag #HeroesofHope! Join me in raising awareness around these important issues! The Office of Special Education and Rehabilitative Services has a Twitter account! Please follow us @ED_Sped_Rehab. The final regulation related to Local Education Agency (LEA) Maintenance of Effort (MOE) was published in the Federal Register on April 28. Note that the effective date of the regulation is July 1, 2015. The purpose of the LEA MOE requirement is to ensure that LEAs provide the financial support necessary to make a free appropriate public education (FAPE) available to eligible children with disabilities. Generally, LEAs may not reduce the amount of local, or State and local, funds that they spend on the education of children with disabilities when compared to the preceding fiscal year. The Department identified a need for revisions to the LEA MOE requirements based upon fiscal monitoring, audits and questions from States. Most of the changes clarify the way in which the Department has previously interpreted LEA MOE regulations and consolidate requirements from GEPA, EDGAR and appropriations language. OSEP’s Monthly TA Webinar on May 14 will focus on the local educational agency (LEA) maintenance of effort (MOE) final regulations released on April 28, 2015. During this webinar, we will examine the major revisions in the LEA MOE regulations and the implications for States and LEAs. Teachers across the country are working together to increase student success. They are learning from data, test scores, and parent feedback about better ways to engage students to prepare them for college and careers. For a closer look at how classrooms are being transformed, the Department launched a behind-the-scenes video series. The third video in the series, “Improving Education: A View from King/Drew Magnet High School,” shows teachers who are inspiring students to reach new heights by setting high standards for learning and focusing on the whole child. It reveals students engaged in learning who believe “there is no other pathway that will bring you success like education.” Watch to see how teachers are encouraging their students to overcome challenges so they can succeed at school and in life. The National Teacher of the Year is chosen from among the State Teachers of the Year by a committee of 15 national education organizations, organized by the Council of Chief State School Officers. This year’s winner, Shanna Peeples, is an English teacher at Palo Duro High School in Amarillo, Texas, where she is splitting her days as a teacher and a mentor, challenging her colleagues to grow in the teaching profession. During the year, she is released from classroom duties to travel the country as a spokesperson for teachers. On April 28, the Obama Administration announced eight additional “Promise Zones” across the country, including six urban centers (Sacramento, Hartford, Indianapolis, Minneapolis, St. Louis, and Camden), a rural area (South Carolina Low Country), and a tribal community (the Pine Ridge Indian Reservation in South Dakota). Through the Promise Zone designation, these communities will work directly with federal, state, and local agencies to use proven tools to improve the quality of life in some of the nation’s most vulnerable areas. “Promise Zones bring multiple agencies together with local leaders, to breathe new life into underserved neighborhoods,” said Department of Housing and Urban Development (HUD) Secretary Julian Castro. “A zip code should never limit the opportunities and hopes that parents have for their children. Helping these communities build stronger neighborhoods will help unlock those doors that have been closed for far too long” (fact sheet and web site).